I first volunteered for Race 13.1 in 2016 as a course marshal. In 2017, I was a race sweeper for the half marathon with a fast runner friend of mine. In 2018, there was supposed to be four of us sweeping until I got injured the Thursday before race day. Only me! It was an accident waiting to happen really. The couple weeks prior to the race, I had noticed that my legs were just extra tight every time I would stretch after an Orangetheory class. Every time I noticed the tightness, I would think about taking a yoga class or doing some extra stretching during the week, but neither of those thoughts ever became a reality. So when I tripped on my sandal going up the stairs at work, I immediately felt a pull in my left calf. The result was a pretty significant limp which meant NO Race 13.1, not even the 5k distance they offered. I was completely bummed about not being able to participate in the race and I also mad at myself for not following through on my initial thoughts about extra stretching. I could have let myself be depressed about it and avoiding the race entirely, but I decided to volunteer on race day instead. 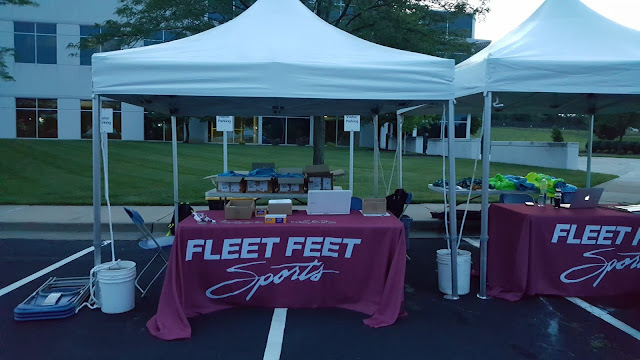 I still wanted to be part of the race day action and I also wanted to see my friends take off from the start line, so volunteering at race day packet pick-up allowed me to accomplish both of those things PLUS get a free t-shirt! I guess that's what you call making lemonade out of lemons. Back when I signed up for the race, I also signed up for the Saturday packet pick-up volunteer shift. When I got injured last week, I signed up for the exact same duties on race day too. Both packet pick-up shifts went really well. Race 13.1 is very good at communicating with racers leading up to race day. Most participants had the email with their bib number pulled up and ready to go but if they didn't, it only took a matter of seconds to look them up. It was a very quick and easy process from the volunteer perspective and the participants seemed pleased with the quick in-and-out for packet pick-up. On race day, the line was a bit longer at times but the process still ran incredibly smoothly. My volunteer shift ended at 7:00 a.m. but as I walked back to my car, I passed the finish line and noticed that they needed more volunteers. 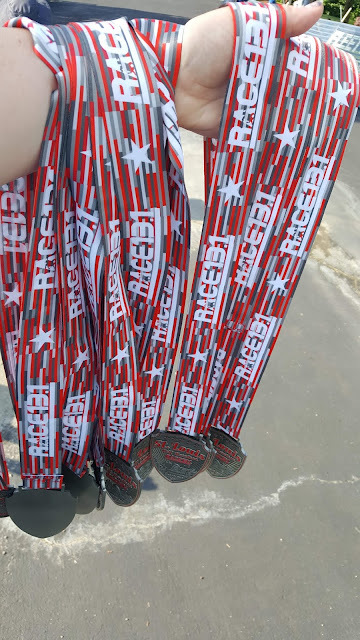 At that point, I decided to stay and help pass out medals. 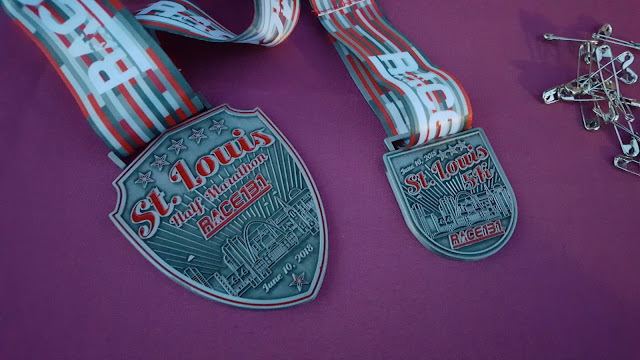 It was hot and the finish line was completely in the sun, but the DJ played amazing tunes (Ice Ice Baby and Bye Bye Bye had me dancing and singing) and the time just seemed to fly by. 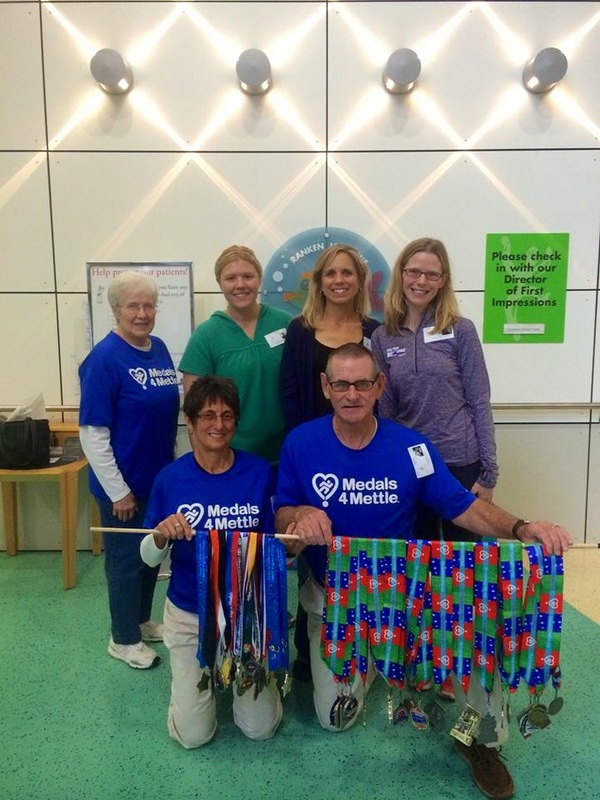 Before I knew it, my sweeper friends crossed the finish line and the race was over! 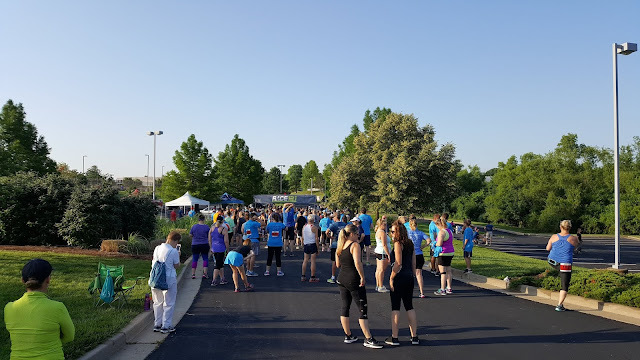 I really enjoy volunteering at races because it not only gives you a behind-the-scenes perspective, but it also makes you appreciate all of the work and planning that goes into a race of any distance. It doesn't matter if it is a company that has races all over the country or a local run raising funds for a charity. You are guaranteed to meet some amazing people and learn something new during your volunteer experience. So go volunteer at a race near you!!! !